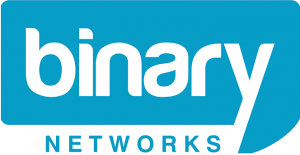 Binary Networks is Australia's most reliable and dedicated communications provider. Binary Networks is a leading business-to-business communication service provider that focuses on leveraging technological advances in communication to deliver more agile, innovative and cost effective solutions to business. Binary networks speaks your language. Do you LOVE your telco?We have a range of solutions to suit every business. Supporting your business each and every day! Looking for faster or more reliable broadband? Put the productivity back into your business and cut costs. We have a range of fixed line and VoIP solutions to suit every business. Ready to move your business to the cloud? Co-location, dedicated server and VPS facilities are available in our state-of-the-art data centre. From VoIP, ISDN, PSTN, ADSL, Hosting, Wireless, Fibre, EFM, NBN, we love it all. Our call center is Australian based and always will be. Our staff are experienced telecommunications professionals. Our network provides business grade reliability and performance to ensure you stay connected. Save time and effort by having your own account manager. We have a large range of products which have all been thoroughly tested for performance and reliability. We pride ourselves on providing high quality products and services while offering competitive prices.